﻿ Lombok Plaza Hotel (Indonesia) | FROM $23 - SAVE ON AGODA! Have a question for Lombok Plaza Hotel? 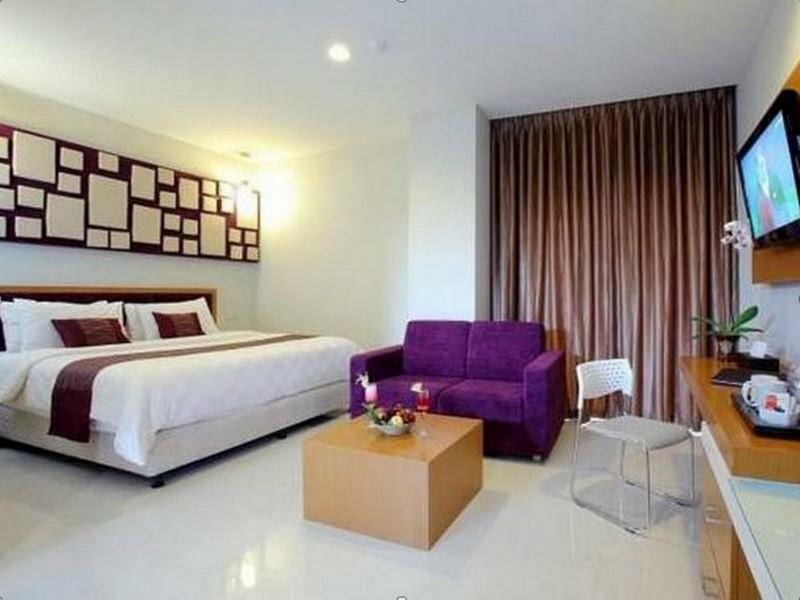 "Location is perfect for those who travel to Mataram." "The place was very clean and tidy." "Good location, good price, and nice food"
Whether you're a tourist or traveling on business, Lombok Plaza Hotel is a great choice for accommodation when visiting Lombok. The city center is merely away and the airport can be reached within 45 minutes. 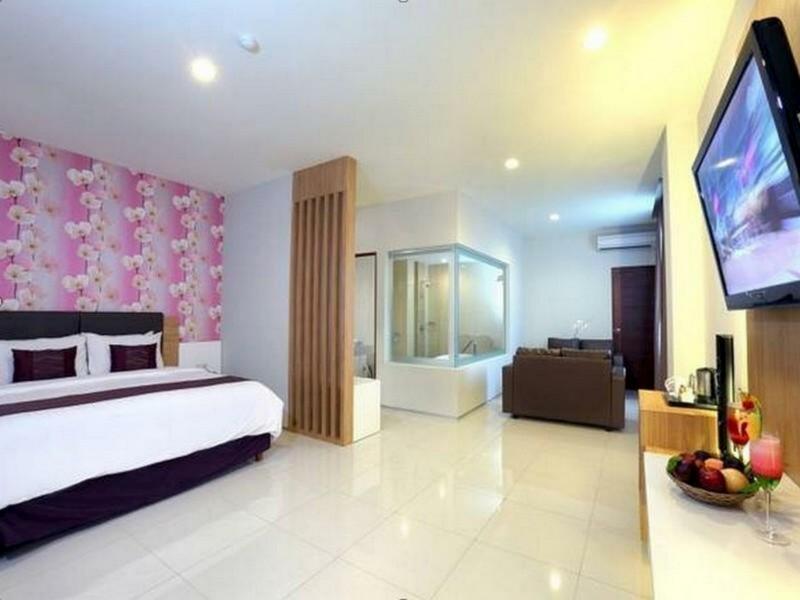 With the city's main attractions such as Posyandu Merpati, Siti Hajar Hospital, Rs Risa Sentra Medika within close reach, visitors to the hotel will just love its location. Lombok Plaza Hotel also offers many facilities to enrich your stay in Lombok. The hotel provides 24-hour room service, free Wi-Fi in all rooms, 24-hour security, convenience store, daily housekeeping to ensure our guests the greatest comfort. Step into one of 142 inviting rooms and escape the stresses of the day with a wide range of amenities such as television LCD/plasma screen, internet access – wireless (complimentary), non smoking rooms, air conditioning, wake-up service which can be found in some rooms. The hotel offers many unique recreational opportunities such as outdoor pool, massage, pool (kids), billiards, table tennis. Enjoy unparalleled services and a truly prestigious address at the Lombok Plaza Hotel. Have staying in this hotel for many time. Located in the center of Mataram. Clean rooms and good size. We got upgraded without asking. The breakfast is fantastic with selection from buffet or cook to order. We only came through for one night so didn’t see much of the surrounding area but it seems a bit away from anything nice. The hotel itself was very nice and the pool and bar area would be a nice place to hang out. Very nice hotel! My girlfriend and I had a wonderful stay in this hotel. The room is very spacious & clean. Booked my stay in a plaza suite room, it came with a bath tub & affordable price. I specially requested for a more romantic decoration as it was a birthday trip for my girlfriend, they made the bed so pretty and even decorated a birthday wish for my girlfriend. All in all, we enjoyed our stay here! Stayed two nights in this hotel with family, rooms are spacious and clean. breakfast variatif and delicious, but the location of the hotel is not a strategic location for tourism, staying at this hotel does not feel like a vacation, because around the hotel are shops and business activities. Many food vendors around the hotel are cheap-cheap and tasty. The hotel is quite modern (with a older cottage part). Staff friendly and when we had a issue with our air conditioner, they quickly changed us to another room. Excellent service. Breakfast good with wide selection. A short walk down tot he "main street" area with plenty of restaurants. Walk over the road to another part of the hotel and you will find the beach. Closer than you think. This is the 2nd time I stay in Lombok Plaza, the first time for businness ocassion, now with my family. This hotel most strongest selling point is the location, it's easy to get some food. Overall it's a good hotel and I will stay at this hotel again if i'm going to lombok. 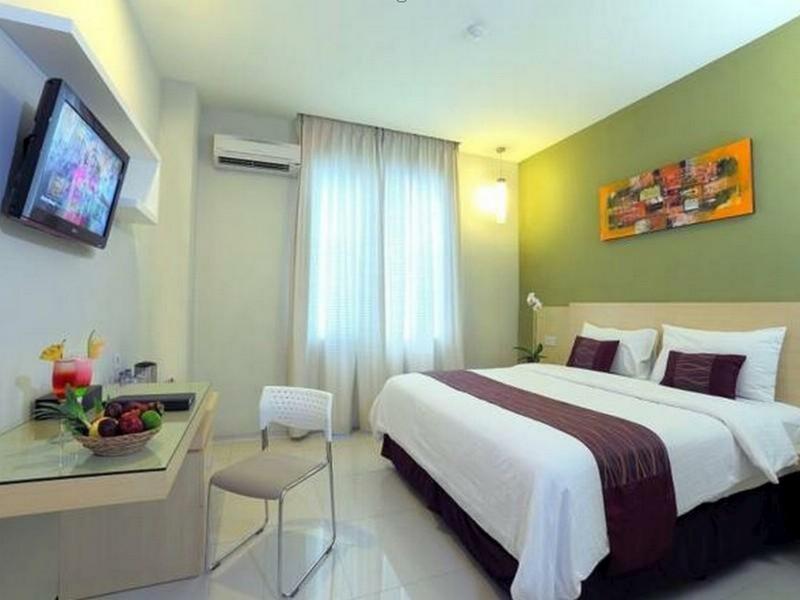 Nice and clean hotel in a central location - walking distance from Mataram Mall. Rooms were big enough and clean. Restaurant downstairs offers surprisingly good food and very affordable prices. Would stay there again. closer to airport,big room and beautiful indoor gardening pots. It is closer to Gili Nanggu the best place for snorkelling than north Gili's one. We booked a snorkel tour through the hotel. It was arranged a driver and we took a boat,too from Taun to. We have seen many kinds of tropical fish in clear sea bottom. Good fun! It's OK for the price, but no WIFI coverage in my room (not sure in other rooms, of course), and WIFI in the lobby and restaurant area gets real slow as more people are using it. So if WIFI access is important to you, this is not the place for you. Hotel located in the busy part of city of many local shops and restaurants around. The free breakfast has VERY limited selections, but it's passable/OK. This hotel is brand new and looks beautiful. The room we were in was not huge, but the decor was lovely, the mattress incredibly comfortable and it was completely soundproof. There was a concert on in the hotel one afternoon, which was only one floor below our room and you could not hear anything from inside! The restaurant was also a big surprise, we were not planning on having many meals there, but after sampling the menu one afternoon, we had to go back for more! The menu is very varied with Chinese, Indonesian and western dishes. The location is good for anyone who wants to go shopping; Mataram mall is only 5 min by taxi from the hotel. It is also only a 45 min ride from the airport and there is always at least one Blue Bird taxi waiting outside the hotel. I would definitely recommend this hotel to anyone. This hotel is very convinient they have a store just nest to the hotel to buy your needs. also its very easy to find foods outside the hotel, they got satay, nasi goreng and some other stuff. Since its located in the heart of the city to find a cab its really easy and fast. Located in the heart of Cakranegara. This hotel is a new building and modern so it was clean and neat. But room a little bit small. Close to Pasar Cakra where you could find T-Shirt and another Lombok souvenirs. To Mataram Mall the only one mall in Mataram is not far enough. You could reach it by walking around 10 min. Overall good. Staff was nice. Room and facilities clean. Good water pressure and hot water. Right in the heart of the city. Lots of breakfast options. But aircon was not good and tv only had a few English channels and no USB adaptor for plugging in hard drive. Location is perfect for those who travel to Mataram. Location is in Central Mataram. Near to the traditional Market Cakaranegara. There is a minimarket attached to the hotel. There are many food street in the evening for dinner selection. The hotel itself is clean and the staff are kind. Me and my wife stayed here for 2 nights, booked the Superior room but they gave us the super-huge Deluxe room because the Superior room was full at the time, and it was great! The bathroom smelt very bad, but we can still deal with that. Will absolutely stay here again if we go to Lombok.